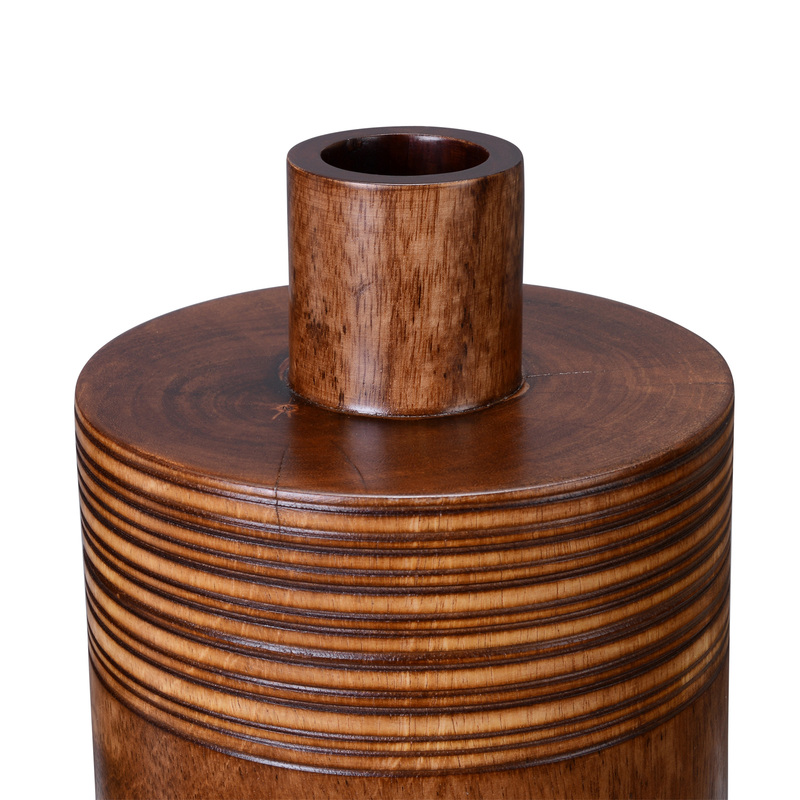 The clean lines of the Villacera Handmade 10" Tall Oval Brown Mango Wood Jar with Lid makes a lovely design accent alone on a shelf or tabletop as well as an ideal gift to commemorate a wedding or other special occasion. 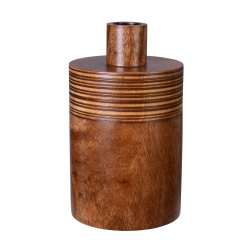 Meticulously crafted by hand, the gorgeous wood grain provides an earthy feel while the antique cylinder shape and sleek polished finish of the wood is the perfect mix of industrial and farmhouse style. It also comes inclusive of a lid making it perfect to store candy by the entrance, a cannister in the kitchen with nuts or dried fruits, or in the entry-way, conveniently located for loose change lying about. Each Villacera Handmade Mango Wood decorative home decor accent piece is uniquely hand carved out of sustainable, durable mango hardwood, leaving minimal differences in the fresh, natural carvings of each piece. Eco-friendly mango wood is relatively hard and dense and therefore very durable, requiring little to no maintenance, providing any room in your home, an accent piece for years to come. Dimensions: (L) 6" x (H) 10" x (W) 6". Material: Mango wood. To clean, hand wash with damp cloth & towel dry. 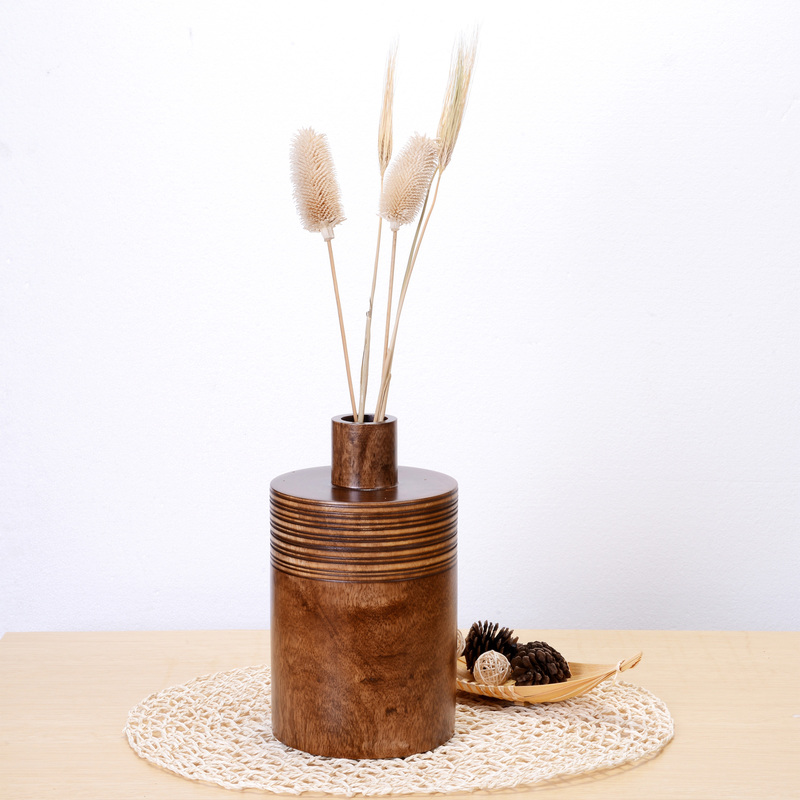 Do not let your mango wood item sit in water or remain wet for extended periods of time. SATISFACTION GUARANTEED: Villacera is committed to providing the consumer with the absolute best price and value on our entire line of products, which we ensure by applying a rigorous quality control process. NOTE: This is an exclusive product of Villacera and Handmade 10" Tall Oval Brown Mango Wood Jar with Lid by Villacera are GUARANTEED to be genuine. 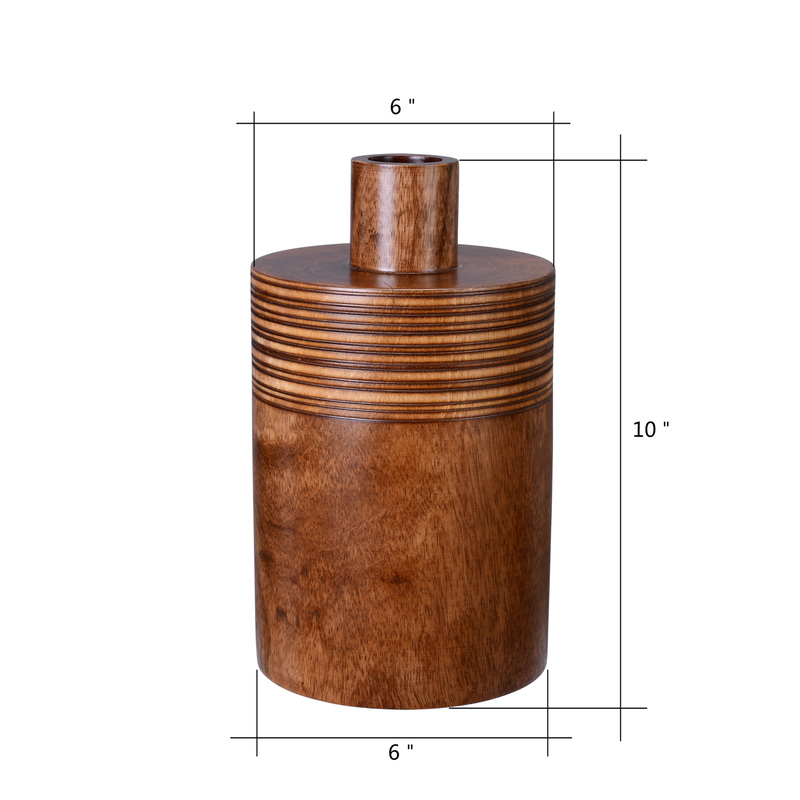 PRODUCT DETAILS- Dimensions: (L) 6" x (H) 10" x (W) 6". Material: Mango wood. To clean, hand wash with damp cloth & towel dry. Do not let your mango wood item sit in water or remain wet for extended periods of time.